ICTO - FAQ » UM Domain Name » Do I need to update my sender email address at my email client? 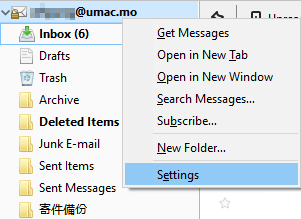 If you are using Outlook Client/Webmail/APP, you do not need to change any settings for the new email address (UserID@um.edu.mo). If you are not using outlook as your email client, you need to modify the sender address at the email client. Open your Thunderbird, on the left-hand side, right click your email address and select settings. 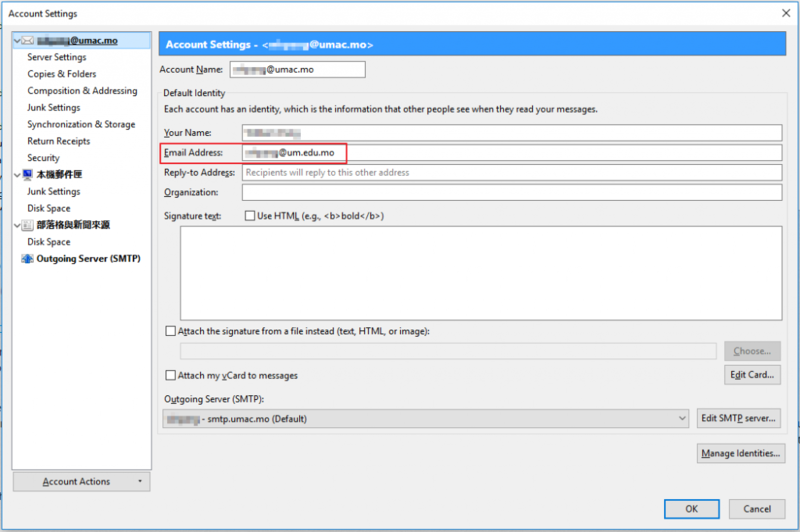 On account setting, your email address, modify it to UserID@um.edu.mo. What will be changed when UM domain name is changed from “umac.mo” to “um.edu.mo”? What do I need to do after UM domain name is changed to “um.edu.mo”?